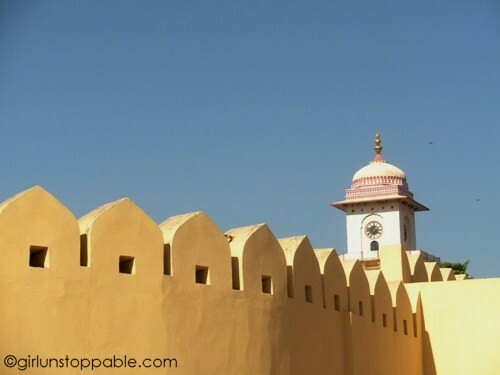 On my day tour of Jaipur, one of my tour mates was a man from Switzerland who’d once lived in India and had been visiting the country for decades. He had already seen all of places on our itinerary. 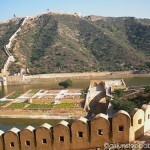 It was clear that he couldn’t get enough of the sights of Jaipur, and throughout the day, I would discover why. 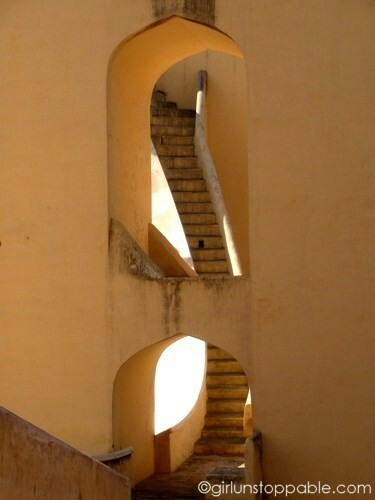 “What is the Jantar Mantar?” I asked him as we left the Central museum. “It’s a really great observatory,” was his excited reply. I shrugged, still feeling pretty indifferent about it. 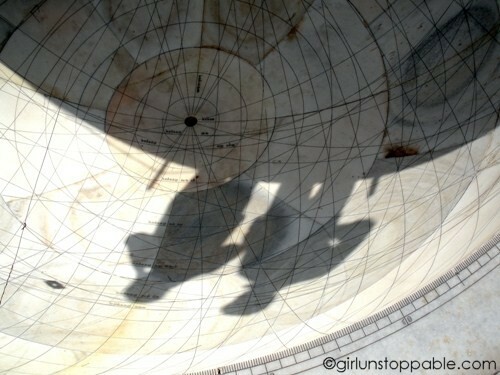 Then we arrived at the Jantar Mantar. Wow. 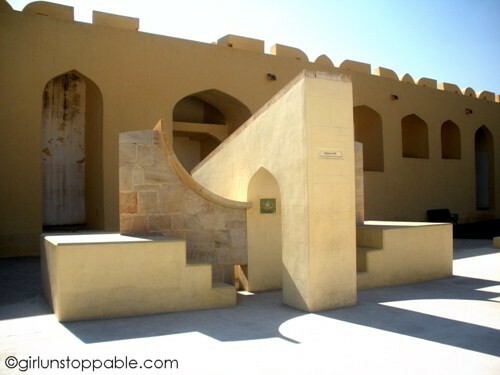 Inside the observatory were huge astronomical instruments which in Sanskrit, are called yantras. 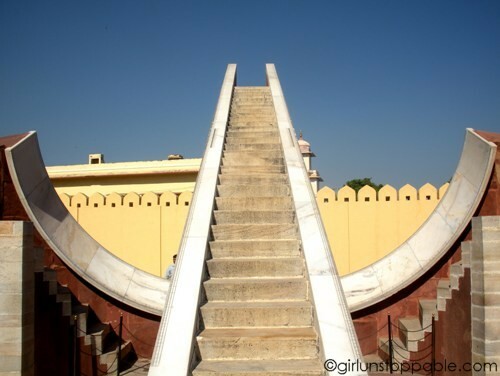 The fourteen yantras at the Jantar Mantar were built between 1727 and 1734. 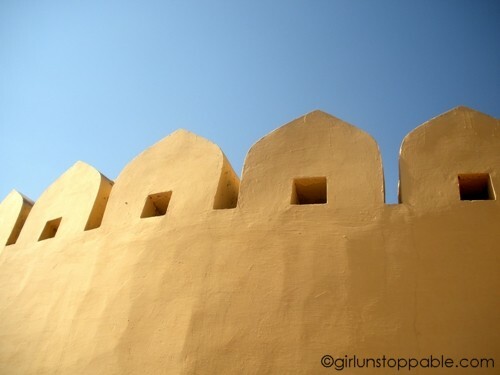 A wall at the Jantar Mantar. The Jai Prakash Yantra is used to determine the position of the sun, other stars, and planets. The Rashivalaya Yantra is a group of twelve instruments, each dedicated to a zodiac sign. This one is for Virgo, my sign. 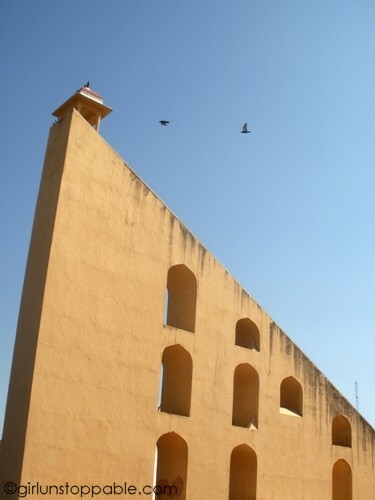 The Ram Yantra measures the altitude of the sun. The Chakra Yantra is used to locate planets and other celestial bodies at night. 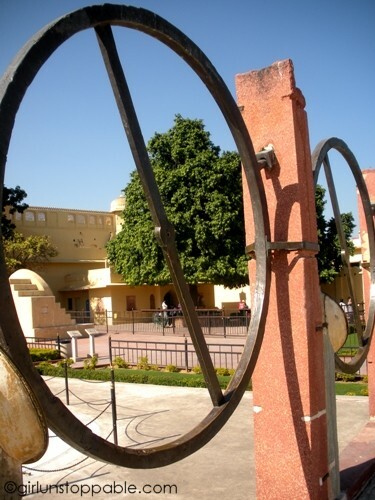 Using the Kapali Yantra, astronomers and astrologers can figure out the position of the sun relative to stars and planets, during daylight hours. 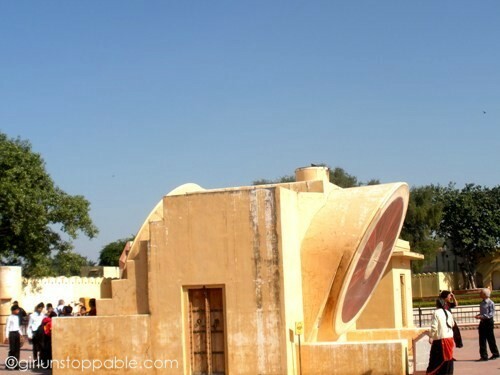 The Narivalaya Yantra is a sundial that measures local time. The winter dial on the right points to the south pole and is used when the sun is in the southern hemisphere. The summer dial is on the other side. The Laghu Samrat Yantra is another sundial. 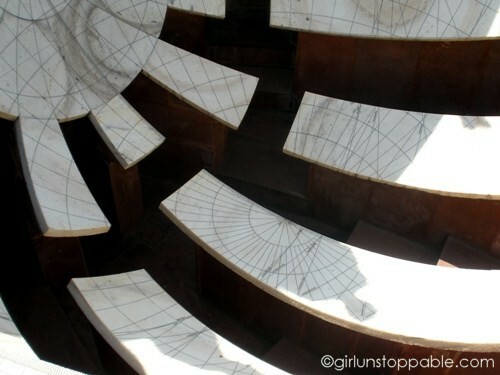 The Samrat Yantra is a gigantic sundial, the largest in the world. 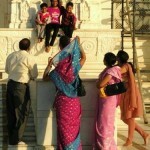 Steps at the Samrat Yantra. 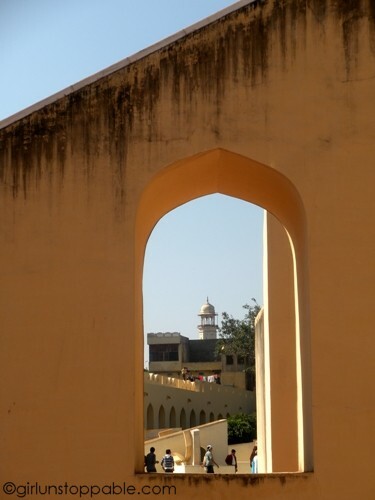 A view through a window of the Samrat Yantra. 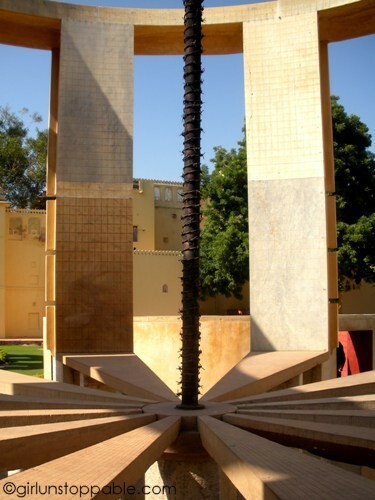 A wall of the Jantar Mantar and more modern time telling device in a tower just outside the observatory. Ooooh what an awesome photo collection!!! That’s a really striking series of images. I like the clean lines. I’ve studied Vedic astrology and it’s not at all like Western or Chinese astrology. I would have liked to have asked them about how they made their calculations since astrology is still important in India. Thanks. That’s cool that you’re interested in Indian astrology. You may want to visit this place! I know local astronomers still use it and I’m guessing astrologers do too. If you ever do make it over there, you’d need to hire a guide because the descriptions they have there aren’t all that informative! 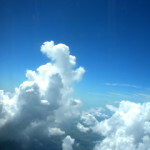 These are lovely photos! 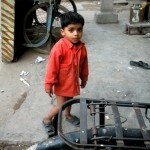 If you didn’t tell me where these were taken, I wouldn’t have guessed India. Yeah, same here. 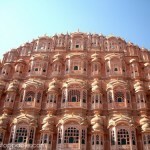 I think that’s one reason why I was so blown away, it was really unlike anything else I’d seen in India up to that point!